"Friedrich der Grobe, der "Alte Fritz"
I named him Frixos (Phroexos) because his golden-black coat and the fact that I saved him from a certain death reminded me of “Phroexos and the Golden Ram,” the Greek mythological hero who was saved from a certain death by the grace of the all-mighty Zeus. Phroexos and Helle, a king’s son and daughter, were persecuted by their cruel stepmother Ino. They fled from her on a golden ram, sent by Zeus. Poor Helle, turning giddy as they flew over land and sea, fell from its back into the sea that has ever afterwards been known by her name: Hellespont. But, Frixos safely reached Colchis at the farther end of the Euxine Sea. He sacrificed the ram to Zeus, and hung up its fleece in a sacred grove by the river of the Colchians, among whom henceforth he lived and died. Later on Jason and his Argonauts retrieved the fleece for his uncle King Peleas, father of Achilles. 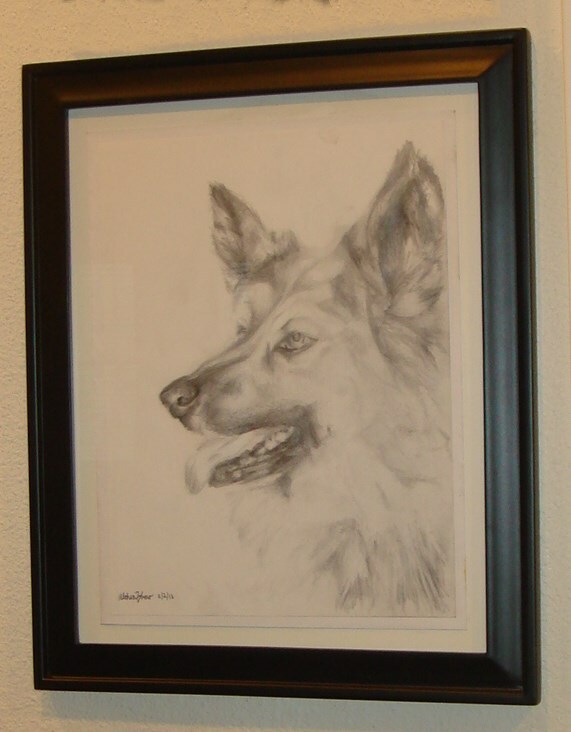 I was still mourning the loss of my dear Liebchen, a toy German Shepard, who was tragically killed, trying to get away from a group of kids tormenting her, the day before the fourth of July , with fireworks, when I decided to save a life. So, I went to the Santa Clara Humane Society, but none of those unfortunate animals could come close to my Liebchen. As I was leaving, this gentleman and his crying little daughter were coming in to surrender this ferocious looking dog. I stepped aside to let them pass, not knowing what the dog may do. The dog stopped, looked in my direction, and began coming toward me wagging his tail. Very cautiously, I put my hand out to pet him. And that was the humble beginning of a wonderful fifteen-year companionship, for both of us. Frixos was an impressive-looking one-year-old 118 lb. 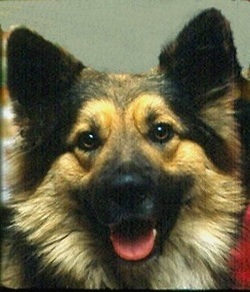 German-Shepherd with the best physical and personality traits a dog can have. 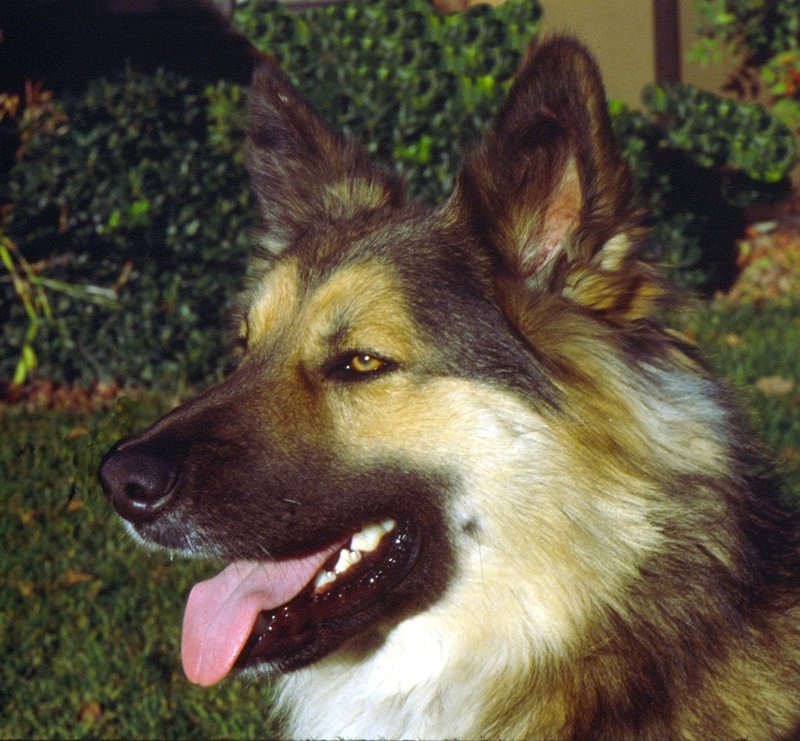 He had the bark and the elegant looks of a German-Shepherd and the tenderness of a Collie, but fearless and highly protective. He was blessed with a playful disposition, a beautiful coat, a perfect set of gleaming white teeth, and a bark that made the walls of the house shiver. Our favorite playtime activity was playing "Inspector Clouseau." That is, hide-and-pounce. Most of the times ... he won! But despite his size and mischievousness, he never caused any damage or harm to me or to anyone else. Our Saturday rides to Santa Cruz with my convertible FIAT Spider had become legendary for the patrons and the staff of the “Cloud Nine” restaurant where we would stop for lunch; and the cause of many friendly conversations with the CHP officers patrolling Hwy 17. He would sit next to me wearing his goggles, looking like a tank commander inspecting the troops, casting unperturbed looks on the other motorists, as we sped through the curves of the road. He had a healthy and happy life. But old age eventually caught up with him, suddenly! And after a short illness I lost a loyal friend and a tireless playmate. I still miss him very much. A present from Althea, a brilliant 16-year old young lady who took my 2016 summer class.